Nicholas Okoh, primate of the church of Nigeria (Anglican Communion), has warned leaders against shifting blame to others after being elected into power. He said it is “moral evil” for an elected public servant to blame past administrations for challenges being experienced by Nigerians, rather than improve the lives of the citizens. Okoh said this on Sunday in his presidential address to the diocese of Abuja synod held at Basilica of Grace Gudu, Abuja. “It will be a moral evil for any candidate to gain the confidence of the people, then after being elected into power, instead of improving the lots of the country, to turn round and start to blame past governments,” he said. The cleric added that Nigerians are “tired of retrogression and stagnancy” and need to move forward. He also decried the “hunger in the land,” saying the government needs to make haste to salvage the “deplorable situation”. 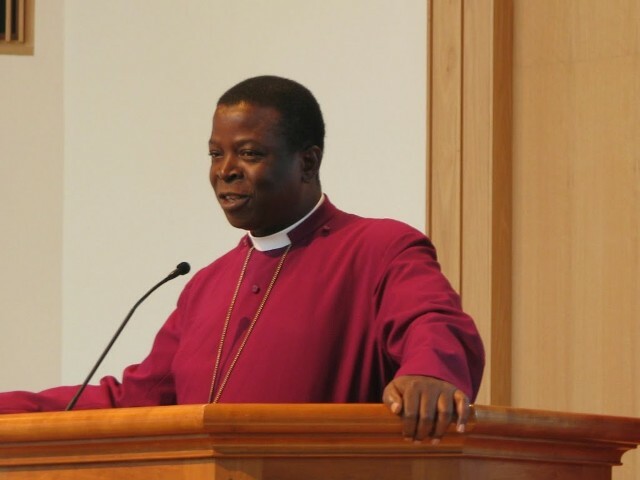 Okoh said the “widespread” unemployment in the country should be tackled by the government as a matter of priority. “Government should expedite action in this direction so that our young people can make meaningful contribution to society and find fulfillment in their father-land,” he said. He called on Nigerians to ensure that they participate in the 2019 general election as “no amount of inconveniences you may face in the course of registering and obtaining your permanent voter’s card (PVC) can be comparable to sitting on the fence”. While condemning the killings in the country, the bishop said, “something drastic should be done to secure the lives and property of Nigerians anywhere in the country. “Otherwise, if they are killed, there will be nobody to vote come 2019; and without the people, there cannot be any government”.